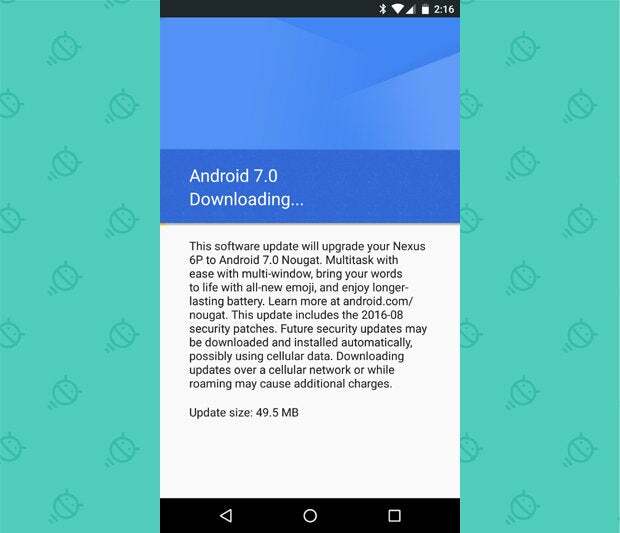 Google's Android 7.0 Nougat release is full of fresh new features and flavors. This detailed (and delightfully chewy!) FAQ has everything you need to know. I never knew it was possible for so many people to be excited about Nougat. 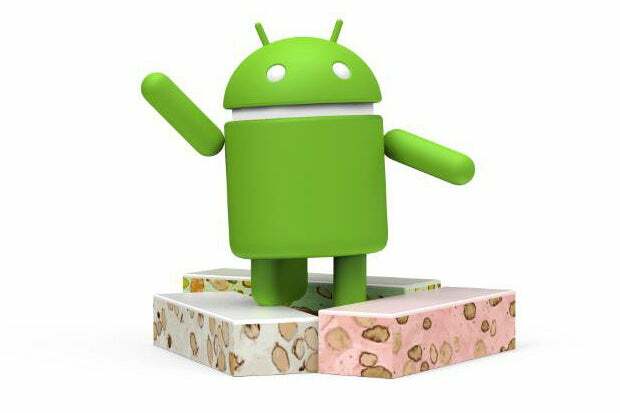 Heck, I don't think I'd even heard the word "nougat" more than 20 times -- ever, in my entire life -- up until Google decided to use the sweet treat as the name for its latest Android release. But alas, here we are: Android 7.0 is officially on its way into the world, and that means the honey, egg, and nut-based gloop (yup, that's nougat for ya) is atop many a tech-lover's mind. So what's Nougat -- the Android software, that is -- all about? And what'll it mean for you? Here are answers to all of your burning questions. What are the biggest new features in Android 7.0? Not wasting any time getting to the good stuff, eh? I like the way you work. 1. Split-screen mode. Also called multi-window mode, depending on where you look. It's basically the same thing we've seen on devices from Samsung and other manufacturers for a while, only now it's a native part of Android itself -- which means it'll work consistently across all Android devices and with almost any app. The way split-screen mode works in Nougat is pretty simple, though the function is a bit hidden: While using an app, you press and hold the Overview key (the typically-square-shaped button next to Back and Home). That splits the screen in two, with your current app on top (or left) and a list of your most recently opened apps on bottom (or right). Alternatively, you can tap the Overview key and then press and hold an app's card from there. That allows you to drag that card to the top of the screen to initiate split-screen mode. Either way you go about it, you'll be able to move a slider to adjust the size of the two windows -- and when you're ready to go back to a regular single-app view, you'll press and hold the Overview key again to exit. 2. 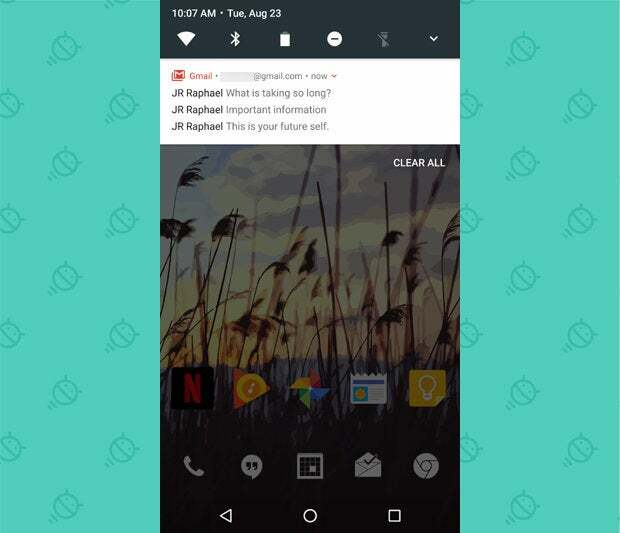 New and improved notifications (yes, again!). Android's notifications are an ever-evolving beast, and with the 7.0 Nougat release, they get another fresh coat of paint. Updated appearances aside, notifications in Nougat are bundled by app -- so if you have, say, three new email alerts from Gmail, they'll all appear within a single card in your notification panel. You can then tap that card to fan it out into individual mini-cards with more detailed info on each message, and you can then tap on any of those mini-cards to expand it and gain access to action-performing buttons (like commands for archiving or replying). Speaking of actions, Nougat's notifications let you reply to different kinds of messages right within their notifications -- without having to interrupt what you're doing or change processes in any way. It's one of those things that seems so sensible, you'll wonder how you ever got by without it. 3. A revamped Quick Settings. 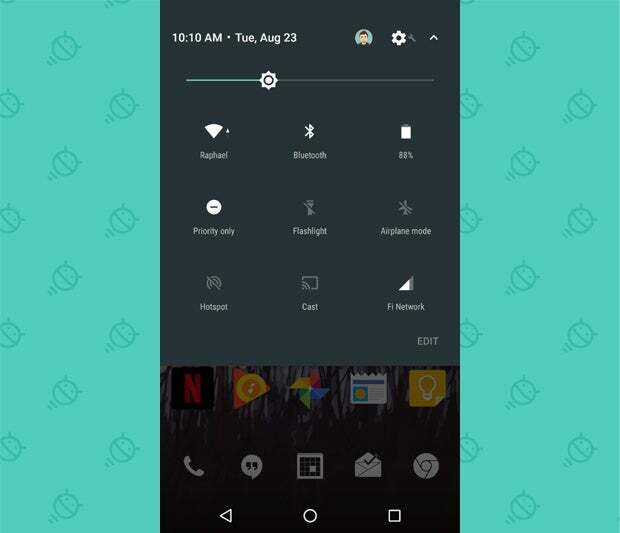 Android's Quick Settings gets far more useful with Nougat, thanks to a new set of always-present toggles on top of the regular notification panel (illustrated above) and a newly customizable set of tiles when you swipe down from that view. Changing the order of your Quick Settings tiles also changes what toggles appear in the permanent notification bar (shall we call those the "Quick Quick Settings"?). It's something third-party versions of Android have had for ages now, but having it in the base OS itself is useful nevertheless -- and a much more effective use of the notification panel's space. Blah, blah blah, blah blah blah blah. Isn't there any other interesting stuff -- stuff that'll actually affect the way I use my device day to day? My, you're demanding! But not to fear: I've got ya covered. In fact, two of my favorite Nougat features (in terms of what makes the most meaningful difference in my own day-to-day life) are things that fall right smack into that category. The first is the newly present ability to switch quickly between apps. 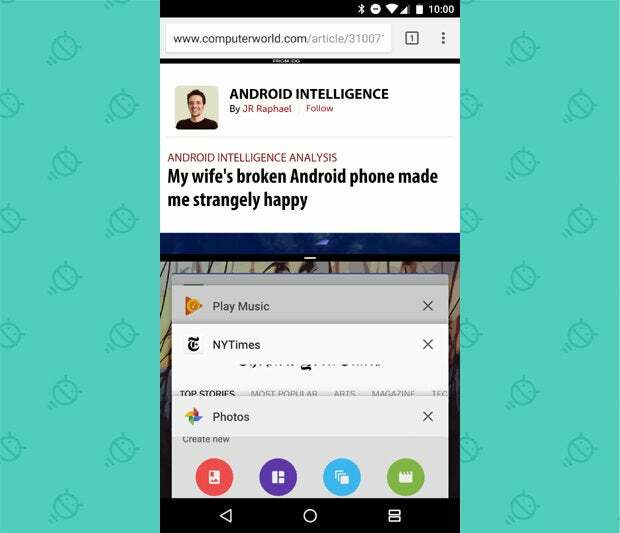 Think of it like Alt-Tab for Android: With Nougat, you can just double-tap the Overview key to snap back and forth between your two most recently used apps or processes. It happens in a split second and makes a world of difference in how easy it is to multitask and get around your device. The second is a seemingly subtle thing that makes my life significantly easier: the ability to pin your most used apps to the top of Android's Share menu. That means the apps you want to see first will always appear at the top of the list when you share something from anywhere in the system. You can pin multiple apps, too, and they'll appear at the top of the list in alphabetical order. It seems like a little thing, but it affects me more times throughout the day than probably anything else new in Nougat. Wait a sec, Sherlock: Isn't there something else that's different in the Overview interface? Man -- I can't get anything past you! You're good. No wonder we get along so well. 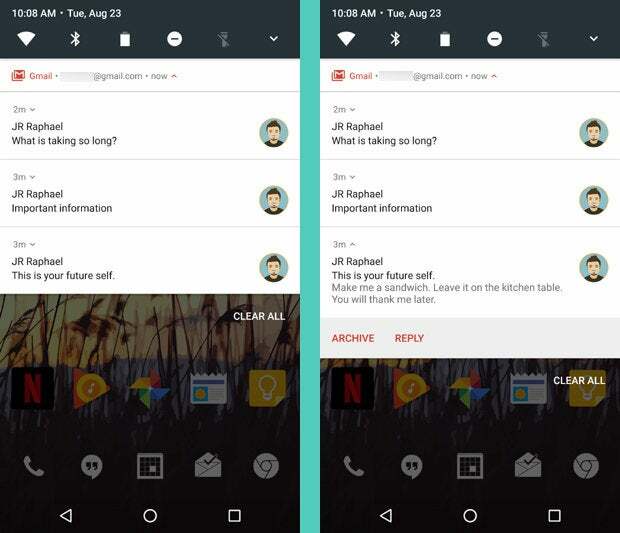 Indeed, Android 7.0's Overview menu has a couple of new touches. First, the Overview screen now limits the number of recently used apps and processes shown so you don't get an overwhelming array of cards to try to wrap your head around (one of my pet peeves since Android's Lollipop era). And second, Nougat introduces a native "Clear All" command for those times when you just can't stand the clutter and want everything out of sight. Simply scroll all the way to the top of the Overview list, tap the "Clear All" text, and let your OCD-ladled brain rest easy. What about appearance? Will Nougat look any different from what I have now? It really depends on what version of Android you're coming from, but generally speaking, Nougat sticks with the overall aesthetic introduced in Lollipop and refined in Marshmallow and just fine-tunes it even more. You might not even immediately be aware of any obvious differences. That being said, the notification and Quick Settings elements we talked about a minute ago are probably the biggest visual changes. The main system settings menu also has a slightly updated look, with a new "Suggestions" section at the top and a newly added navigation menu that makes it (slightly) easier to jump between sections. Let's see...what else? Android 7.0 includes new emojis, so there's that. It has a new option to increase the size of everything on your screen, for those of us prone to squinting (previous versions of Android only allowed you to increase the size of text -- not all on-screen elements). And there's now a native way to set different wallpapers for your home and lock screen, if you're so inclined (though it isn't particularly easy to control the two areas independently). You mean to tell me we're going from 6.0 to 7.0, and that's it? Surely there's something else new here, even if it isn't earth-shattering? Well, yeah -- I mean, there's a smattering of random new and improved this-and-thats, if you're really gonna push the subject. Data Saver. With Nougat, you can activate a Data Saver mode so that any app running in the background won't be able to send or receive data over your cellular connection. New languages and multi-locale support. Nougat knows a hundred new languages and a handful of new locales, so if U.S. English isn't your cup of tea, you can still get your message across. You can select multiple locales as your system default, too, in case you go back and forth between different dialects and want your device to act accordingly. Better backup and restore. Android's backup and restore system has gotten pretty darn good over recent years, but Nougat delivers a bit more punch to the parade. 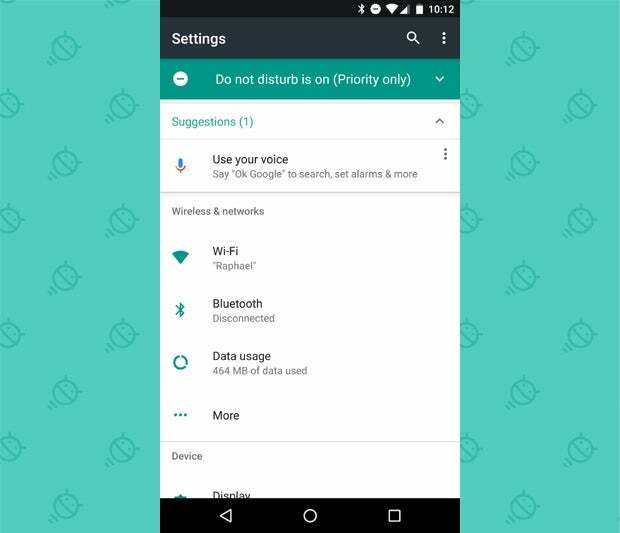 Specifically, Android 7.0 adds extra areas of device settings into the list of stuff that gets synced with your Google account and restored whenever you set up a new phone -- things like app permissions, accessibility settings, and Wi-Fi hotspot preferences. Seamless software updates (for certain new devices). It won't affect existing phones, but "select" new devices running Nougat will be able to get future software updates in the background -- without any waiting or user-facing hassles. It's taking a page from the Chrome OS book (imagine that! ), though remember that in this case, a manufacturer and/or carrier will still have to approve and deploy any updates before they come through. Rest secured, my security-lovin' amigo: You shan't be disappointed. Android 7.0 improves encryption by moving it to the file level (the full explanation gets pretty technical, but the important thing is that it's a more secure way of doing things). It also lets you allow apps to access only specific folders on your device instead of having to grant access to all of your local storage, and it introduces a new and improved Trusted Face system that makes your face appear more trustworthy to friends, loved ones, and passersby. Wait a minute...I think I got that last part wrong. The new Trusted Face system is actually just an improvement to the feature that lets you unlock your device with your smiling mug. The updated version is supposed to work better in poor lighting conditions and even with changes to your appearance (addition or removal of glasses, facial hair, clown noses, etc). And performance? Will Nougat devices run faster? Last longer? Make me feel loved and attractive for who I am, even if I might have gained a few pounds over the past several months? I mean, look: Every operating system upgrade always promises to provide better performance, stronger stamina, and more cuddle time when you're finished. Nougat is no exception: The latest version of Android has lots of impressive-sounding technical mumbo-jumbo that basically amounts to all those things you mentioned (aside from the loved and attractive part -- sorry, pal, but you're on your own there). In reality, I doubt most people will notice much of a difference. In my time using Nougat (in its pre-release beta version over the past couple months, in its pre-beta preview form before that, and in its final release these past 24 hours or so), nothing meaningfully different has jumped out at me. But maybe your mileage will vary. Android 7.0 is supposed to include some crazy new VR bidness, idn't it? First of all, kudos on the hip lingo there. Replacing an "s" with a "d" is way overdue to become the Next Big Thing™ all the cool kids do. You're absolutely right, though: Nougat does have some virtual reality, erm, bidness attached to it. It's part of a new VR platform Google's creating called Daydream, but the reality (see what I did there?) is that it's not going to be relevant for most people -- and it's not going to affect anyone at all, period, for a while yet. Why? Here's why: First, not many current phones (to put it mildly) have the hardware required to support Daydream. And second, Daydream itself isn't actually ready yet. So what Android 7.0 actually has is the framework for a future virtual reality platform -- a platform that'll likely come along later this year and be limited to a small number of phones for the moment. Nothing to get too excited about...yet. Aren't there any new Nexus phones to go along with this release? Weird that we haven't heard anything official on that front yet, isn't it? Thus far, Google is staying mum about plans for new Nexus devices, but don't panic: It's highly likely we'll see a couple new phones straight from Googleland later this year. As for why the timing is different than usual this time, all we can do is speculate. The crew at Android Central, however, did a fine job of using facts and logic to make sense of the situation. If you're interested in the nitty-gritty of what might be going on behind the scenes, their proposal is well worth reading. The short answer, though, is that we'll almost certainly have some new Nexus devices later this fall -- probably along with a handful of new features in tow. So hang tight. Please, please, please: Before we start wrapping this thing up, tell me about some boring work-related crap Android 7.0 enables. Zzzz......oh, sorry. Fell asleep before I could start answering. Ah, but I jest. Enterprise uses of Android may not be the sexiest subject in the world, but for businesses relying on the operating system, they absolutely are important. So if you really, truly insist, let's power through that area real quick. Nougat has a handful of work-related improvements. To keep this entertaining for everyone, I recommend trying to read through the following items in a single breath. Okay, wise guy. So will my phone or tablet get Nougat, then? And if so, when? Aside from Google's own Nexus devices -- which are really the only Android phones you should consider if timely and reliable ongoing updates are truly important to you -- we don't have much in the way of firm timelines yet. As for those Nexus devices, Google started the rollout process on Monday and will be continuing it in phases (as usual) over the next several weeks. The Nexus 5X, Nexus 6P, Nexus 6, Nexus 9, Nexus Player, Pixel C, and Android One General Mobile 4G are all on the list to be updated over the coming month. Not necessarily. First of all, some of the features are hardware-dependent -- like all that VR bidness (did I use that right?) we were rapping about (seriously, do I sound cool now?!) a while ago. So those are things that'll be more relevant for new devices coming out down the road than existing devices getting Nougat today. Beyond that -- as we've discussed countless times before -- Android's open nature means manufacturers can modify the software in different ways and put their own individual stamps on it. If you want the software as Google designed it, a Google Nexus device is the way to go. Other manufacturers do their own things -- which can be both good and bad, depending on the specific nature of the thing and what type of experience you prefer. But they don't always include everything Google's core software offers, particularly when it comes to interface- and design-related elements. For better and for worse, that's part of what you get when you purchase non-Nexus Android products -- and it's something you have to think about when you decide which type of device is right for you. How do you pronounce Nougat, anyway? Is it "noo-GIT" or "noo-GUT"? Neither; it's "n'YOO-gaaaaaaaaaaat," followed by a guttural cough. Is the nougat in 3 Musketeers real nougat? No. It's a rare breed of onion mixed with a hint of peppered gecko egg. Is there any connection between craving nougat and giving noogies? Yes. Now for the love of Goog, go get me a damn candy bar.